When I first moved to Los Angeles from New York, I expected the transition to be smooth. After all, I had worked so hard to meet industry people and build relationships in The City that I expected things to be a cinch in LA. When I arrived, I was ready to pick up where I’d left off and head out to auditions right away. Unfortunately, things weren’t quite so easy. As a city, Los Angeles has nothing in common with New York, not to mention that none of the people I’d built relationships with were even living on the same side of the continent! At the time I was hanging out with other actors who were more established in the LA community. I’d often hear them talking about their auditions and start thinking things like, “Why don’t I have an agent yet? Why doesn’t that CD know me yet? Why aren’t all my ducks in a row?” Those sorts of thoughts weren’t helpful, and left me feeling awful. It can be tempting to compare your Chapter 1 to someone else’s Chapter 20. It was too easy for me to look at other actors and wonder why I wasn’t as far along in my career instead of being proud and excited about where I was and seeing the potential for my career to grow as theirs had. As actors, sometimes we forget that everything we’re doing matters. I love using a success journal to keep me positive-minded, focused, and clear about where I’ve come from and where I’m going. If you are proactive with your career and taking action steps however big or small, then you are putting together important pieces to the puzzle of your career. I recommend making a point to acknowledge yourself for all your hard work once a day. Dedicate one month to getting back on the path to success by writing daily in your success journal. If you’re the kind of person who forgets, go ahead and set an alarm on your phone for 7 pm each evening and take a few minutes to yourself. Write down all that you accomplished in the day. 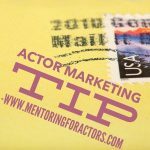 This could look like acing your acting class, sending your post cards, going through new head shots, or even cleaning your room. These little things really do count. At the end of 30 days look back and re-read the things that you accomplished. You will be amazed at how much you got done, even if you only wrote down three things per day. Don’t forget to celebrate! Go to a movie or get a massage in recognition or your achievements. The journey of acting is long. It has its ups and downs. You did a lot of work in the last month toward your goals and it deserves to be acknowledged. I challenge you to keep a success journal for the next 30 days and see how your mindset starts to shift. Then come back and leave a comment below: how did it go? Did you realize how much stuff you could get done in a month? I will start on my 30 day success journal today I think that is a really good idea. Its easy to get discouraged and feel like you are not making enough moves in this business. That’s great Niketa, enjoy it! I look forward to hearing about your success after the 30 days. Thank you for reminding me Sarah to take the time, stop and reflect and celebrate my successes or what I’m learning. 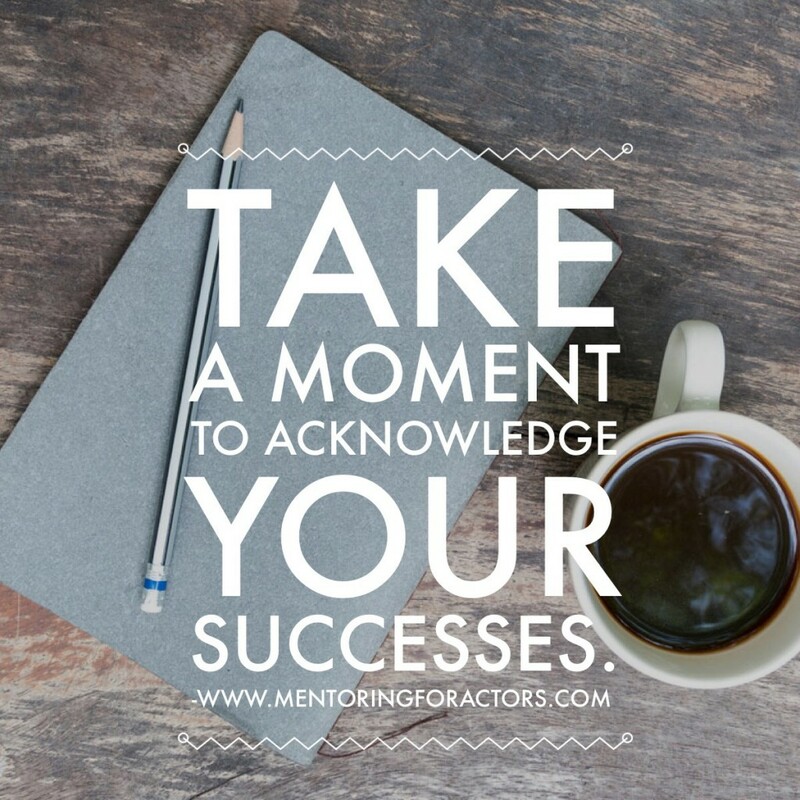 You are right, the journey is long and in order for an actor to walk this traverse terrain of what I would refer to as those “sometimes-insurmountable moments” when we feel everything is against us – we must learn to recall and summon courage from our past and present successes. Thank you for sharing, for now I can see how important everyday Journaling will become the voice of courage calling me to remember. I will commit to this 30 day exercise. Michael, I know you will enjoy the 30 days. We have a lot to be proud and thankful for as actors and with a new year just around the corner it’s the perfect time to celebrate and reflect. Please let me know how it goes! Love. Thank you for the reminder Sarah, that even the little things count!